Reward your dog or cat with clean teeth, fresh breath, and loads of vitamins and minerals. 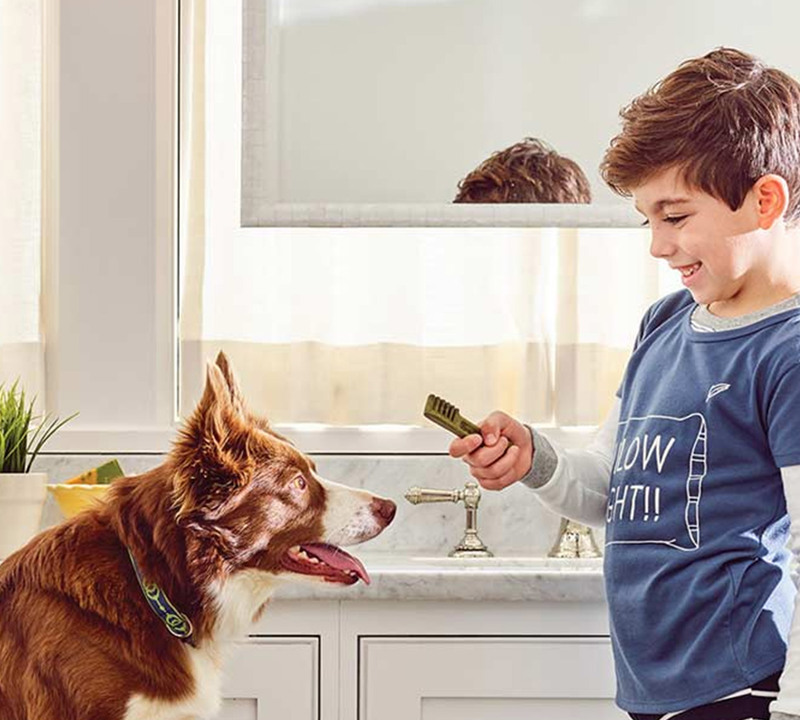 Your pets will love Greenies! Greenies is formulated with an optimal blend of soy and wheat protein for ease in digestion. Greenies' toothbrush shape, tapered shaft and contoured knuckle offer a better surface for teeth cleaning. Chewier texture helps reduce plaque, and keeps gums healthy. Greenies is scientifically developed in 5 different sizes to ensure a perfect bite. Greenies is designed to offer complete and balanced nutrition with 52% protein while remaining low in fat.